Which Buddhist tradition do you think has treated women the best over the last 500 years? Hmm, that's a very interesting answer! How easily could women get lamas to teach them Chod in Tibet several hundred years ago? Could the average Buddhist nun learn it? Or were special family/social connections required? If you don´t revere a woman as your equal, you can´t call yourself Buddhist with a straight face. Simple as that. What counts as treatment by a tradition? Is it the theoretical framework or the organisational status? It should also be noted that Buddhist communities always exist within a society and the way the Dharma is interpreted is influenced by the culture. Thus, Westerners - at least those middle-class liberal people who are interested in Buddhism - want to see women as equal, and project that into the Buddha's teachings. 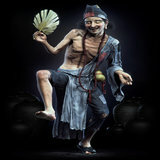 Astus wrote: - want to see women as equal, and project that into the Buddha's teachings. How should we interpret this? It´s not a "want to see" or projecting anything... It´s about Lord Buddha´s reality. odysseus wrote: How should we interpret this? It´s not a "want to see" or projecting anything... It´s about Lord Buddha´s reality. Buddhism does not control lay society, nor does it really have teachings on political matters. Monastic organisation is regulated by the Vinaya, and there women are somewhat subordinate to men. In terms of Dharma practice, sexual identity is of no concern, never has been. odysseus wrote: If you don´t revere a woman as your equal, you can´t call yourself Buddhist with a straight face. Simple as that. Interesting viewpoint. And do you believe that the opposite is also true? If a woman doesn't believe that a man is her equal, is she also not a Buddhist? But anyway, I started this thread to talk about the real history of how different Buddhist traditions treated women, and not abstract questions. Finding out about the positive things that Buddhists traditions did for women in the past could be inspiring and could give people something positive to emulate. And discussing the negative ways that Buddhist traditions treated women could illustrate things to avoid or things that still need to be improved. Astus wrote: What counts as treatment by a tradition? Is it the theoretical framework or the organisational status? I guess I am thinking more about organizational status: Which traditions gave nuns the most opportunities and the most respect? Which traditions gave female lay practitioners the most opportunities and the most respect? etc. It might be worth looking into the lineage of the Tsoknyi Rinpoche, as since the first Tsoknyi Rinpoche they have always had a tradition of supporting mainly nuns and yoginis. There's the film Blessings, which is all about that. Yes, it´s Buddha simple and straight forward about gender dignity. Paul wrote: It might be worth looking into the lineage of the Tsoknyi Rinpoche, as since the first Tsoknyi Rinpoche they have always had a tradition of supporting mainly nuns and yoginis. There's the film Blessings, which is all about that. Ah, wonderful suggestion! I found this preview of the video and found it very beautiful and inspiring. The natural state of our minds is love and compassion and the desire to benefit other beings. Several hundred years ago, a woman invented Chod as we know it now and propagated it widely: Machig Labdron. There have been lay chodpas of both genders ever since. There has been many enlightened women during Buddha´s and Buddhism´s life. I´m starting to think this whole topic is a troll. Best in term of what? Which Buddhist tradition has treated women the best? Probably the jodo shu and in turn the jodo shinshu. Genku was known to say it was ok for women to worship when on their period and I think he generally had a very respectful and accepting attitude for women and his lineage followed in that same groove. But I'm just throwing it out there. Equality of women and men is more of a privilege. Feminism is more about revolting than about being equal because now women don't have to play their role as caregivers, and men ain't playing that either. So now they have hire a babysitter, and by the time they get home from work, they are too tired to spend time with their child. Less time for child. Men and women are of equals. They both play their roles equally important. To put it simple, a woman plays the mother role and the man play the father. What this means? I don't know. But they both have to be there for their child. They both should respect each other. What this have to do with Buddhist tradition? Not sure but there are less women in monastery than men, is it because women are denied? I don't know. What about in Sutra? I don't know but having period and cramps every month is not fun. If you think that women and girls don't endure systematic problems that men and boys do not, then you're kidding yourself. This varies globally--it manifests in different ways in different communities, different social strata, and so on--but it's not just a matter of menstruation. Don't believe me? Ask ten women. LastLegend wrote: Best in term of what? Well, how about opportunities to train and practice seriously, to lead, to teach? Where are the opportunities most available to women? While it's true that Buddhist doctrine insists on the equality of both genders ultimately (even if enlightenment of women is said to require a male rebirth, as in one passage in the Lotus Sutra), of course that doesn't work itself out in practice. Read some history and see for yourself. Jikan wrote: All Buddhist traditions have a history of misogyny to some extent, in some way or another. Where do you get this slander from? There have been cultural preferences about women and men, but not within Buddhism. Jikan, it's precisely women endure more because of cultural baggage, being born as a female make it harder for them to follow the path of Buddhahood. Also precisely because women endure more throughout different cultures, Western feminism is a privilege. The correct view IMO is women and men play their roles important equally.